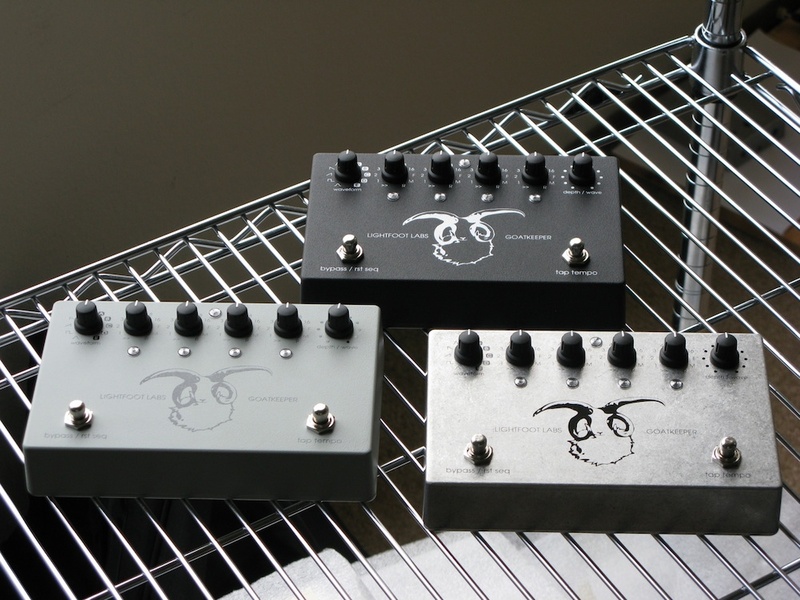 Goatkeeper 3 is an all analog signal path, tap tempo tremolo / sequencer pedal. Its unique sound is due a fast response analog VCA (Voltage Controlled Amplifier), four stage pattern sequencer, and customizable waveforms. It has six standard waveforms with an additional five that can be created and saved using the waveform recorder function. Either Goatkeeper’s depth knob or the expression/CV input can be used as the source for waveform recording. The four step sequencer multiplies the LFO’s rate by either 1,2,3,4,6,8, or 16. Each step can also be set to rest, full amplitude, or random. LFO rate is set by tap tempo (requiring two or more taps), the expression/CV input, or external sync input. Optional presets mod adds four presets that cycle when tapping the preset switch. Presets can be set to automatically cycle in sequence with the current tempo and depth. This is available as a mod for existing gk3 owners or installed in new gk3s. 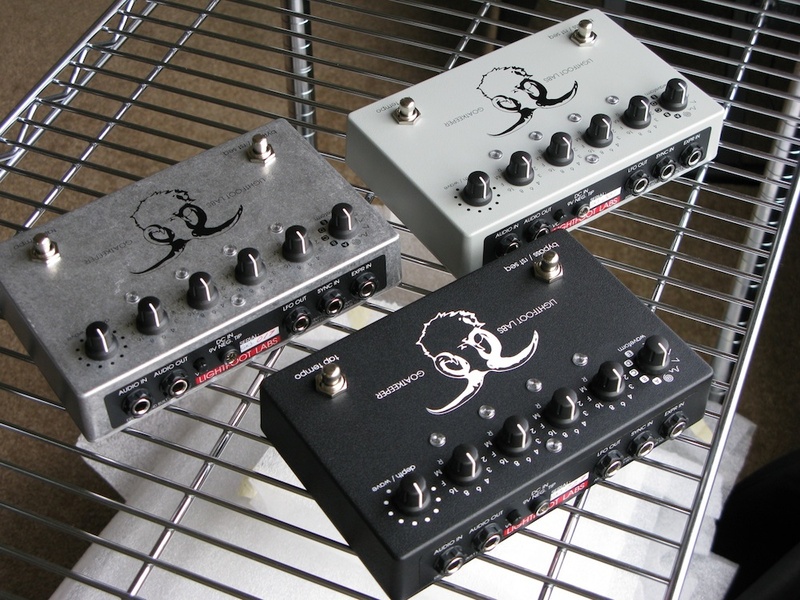 The same mod allows for depth to be controlled from the expression pedal input.